ITBP Recruitment 2019: Indo Tibetan Border Police / itbpolice.nic.in is conducting recruitment processes to fill 625 vacancies. As of now, there are four recruitment drives going on for Apply Online for 121 Constable/ GD Posts under Sports Quota, Apply Online for 496 Medical Officer Posts and others. ITBP Recruitment 2019 - Apply Online for 17 Assistant Surgeon Posts in ITBP. Online Applications are invited by Indo Tibetan Border Police from 05 Feb 2019 to 06 Mar 2019 for 17 vacancies. ITBP Recruitment 2018 - Job notification for 10 Commandant (Engineer) Posts in ITBP on Deputation Basis. 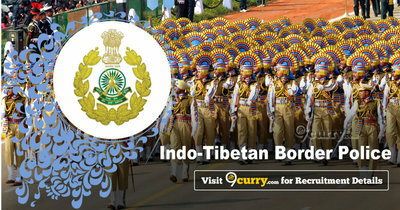 Applications are invited by Indo Tibetan Border Police within 02 months from the date of publication for 10 vacancies. ITBP Recruitment 2018 - Apply Online for Inspector (Editor) Post in ITBP, Across India on Temporary Basis. Online Applications are invited by Indo Tibetan Border Police from 07 Nov 2018 at00:01 AM to 06 Dec 2018 till 11:59 PM for 1 vacancy. ITBP Recruitment 2018 - Apply Online for 20 Head Constable (Dresser Veterinary) Posts in ITBP, Across India on a Temporary Basis. Online Applications are invited by Indo Tibetan Border Police from 05 Nov 2018 12:01 AM to 04 Dec 2018 11:59 AM for 20 vacancies. ITBP Recruitment 2018 - Apply Online for Sub Inspector (Hindi Translator) Posts in ITBP, Across India on a Temporary Basis. Online Applications are invited by Indo Tibetan Border Police from 29 Oct 2018 12:01 AM to 27 Nov 2018 til 11:59 AM for 2 vacancies. ITBP Recruitment 2018 - Apply Online for 218 Constable (Telecom) Posts in ITBP on Temporary Basis. Online Applications are invited by Indo Tibetan Border Police from 29 Oct 2018 12:01 AM to 27 Nov 2018 11:50 PM (Extended till 04 Dec 2018 11:50 PM) for 218 vacancies.